Dear Nintendo: Thank you for taking pity on my poor arrhythmic soul. I love the Rhythm Heaven series of games. The musical mini-games are fantastic and a joy to play. And while I am fantastic at some (and not so much so at others), I can usually at least pass any given song on my first try. Even those I fail at don’t take more than a single retry or two. Honestly, I wanted to cry. “Lockstep” is, quite simply, the bane of my existence. Rhythm Heaven: The Best + is, like the name implies, a “best of” collection with only about every fourth song being completely new. “Lockstep” is a mini-game from the DS version of Rhythm Heaven—my original introduction to the series. It is also the point where I almost quit the series forever. When it comes down to it, “Lockstep” is a simple mini-game (as most of them are). You play as a 2D man surrounded by other 2D men—all white on one side, black on the other. When everyone turns to the white side, you press the button in beat with the music. When they turn to the black side, you press the button on the offbeat. The mini-game itself just switches back and forth between these numerous times—warning you with musical cues before each switch. Tap on the beat? Sure. Tap on the offbeat? No problem. Switch back and forth between the two? Hell no. My brain is just not wired to do that. I remember trying for a painfully frustrating hour or two on the DS before finally asking a musician friend to do it for me. When the stage returned in its ultimate form later in the game, I didn’t even try. I simply gave up and passed it to my friend. 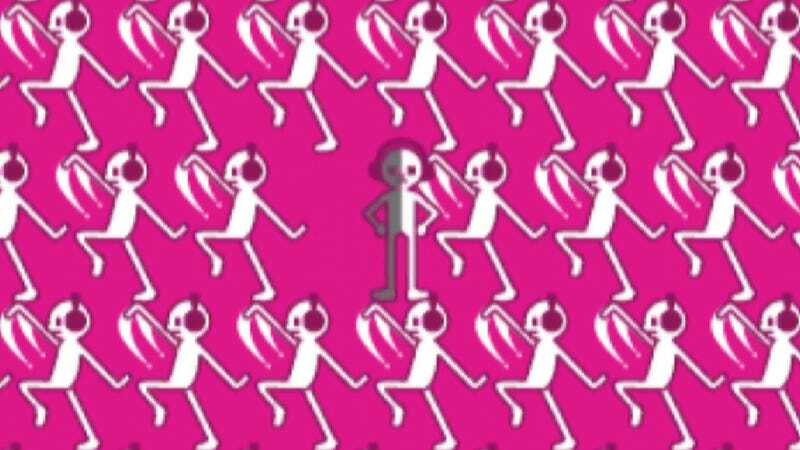 So when I encountered it again in Rhythm Heaven: The Best +, I tried to be optimistic. After all, it’d been years since I last tried. Surely I’d be better at it now. I wasn’t. Not even close. I failed. I tried again. I failed again. I was not getting any better and my score wasn’t improving. After my third or fourth time failing, I just wanted to quit again—all the old frustration flooding back in. I wished I could somehow skip it and get back to playing the game I enjoy. And then Nintendo heard my prayer. After my third or fourth time failing, a cute character popped up and asked me if I’d like to use the coins I had been awarded each time I beat a stage to buy a passing grade on “Lockstep.” You don’t even have to guess how fast I took the game up on that offer. This isn’t the first game that Nintendo has had this feature on—where the game allows you to skip a stage or play it with game-changing power-ups when it becomes obvious the level might just be beyond your skill level. Yet never before have I felt it was a needed feature in a game. Some Rhythm Heaven stages are quite difficult. But the ones that follow can be—and usually are—dramatically easier. There is nothing more rage inducing than to be stuck on something while knowing that it would be easier if you could just move on. So, thank you, Nintendo. Thank you for including this feature in the game. I know most people won’t use it, but as a person who wants to experience everything this title has to offer, being able to skip over the embodiment of pure frustration fills my withered heart with joy.